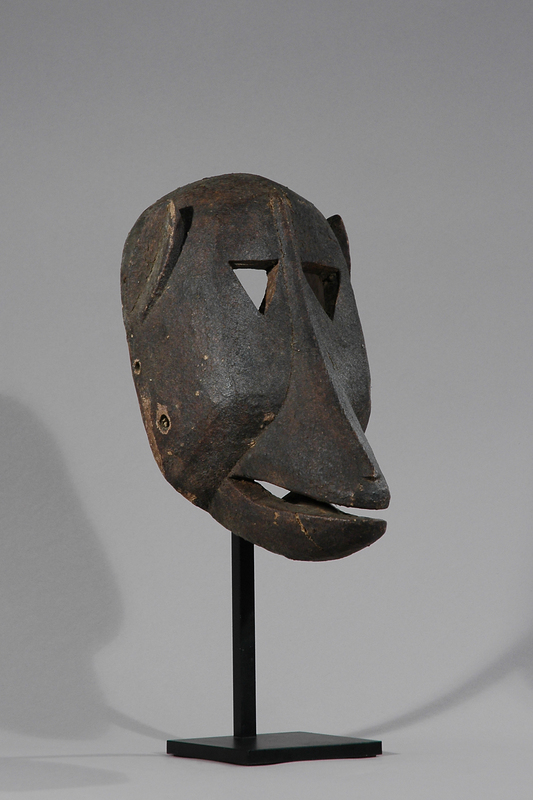 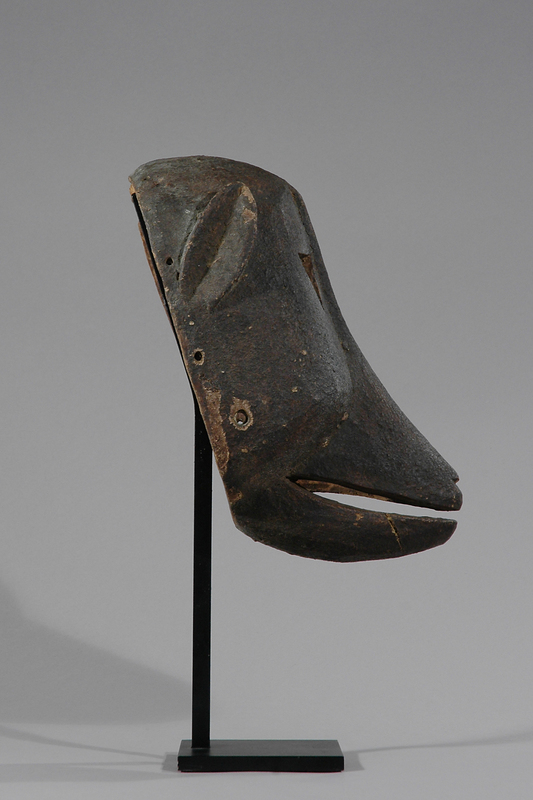 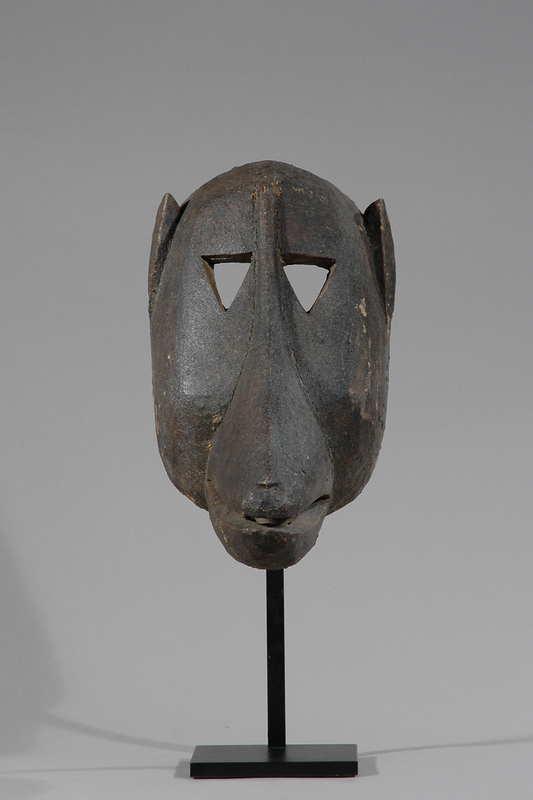 Rare and beautiful monkey mask named “sulaw”. 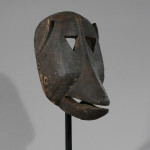 The monkey is the animal representing the eighth and final class of Koré (There are six initiation degrees in Bamana and the last one the Kore is divided into eight classes, of which the highest level is the monkey). 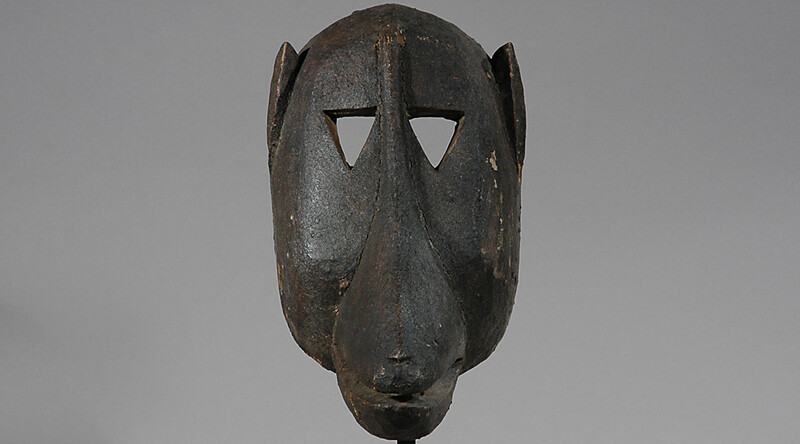 This class shows the way forward from the animal to the human quest for approaching divinity. 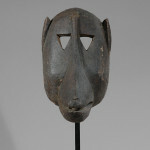 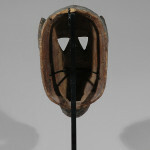 This mask has a beautiful geometric shape. 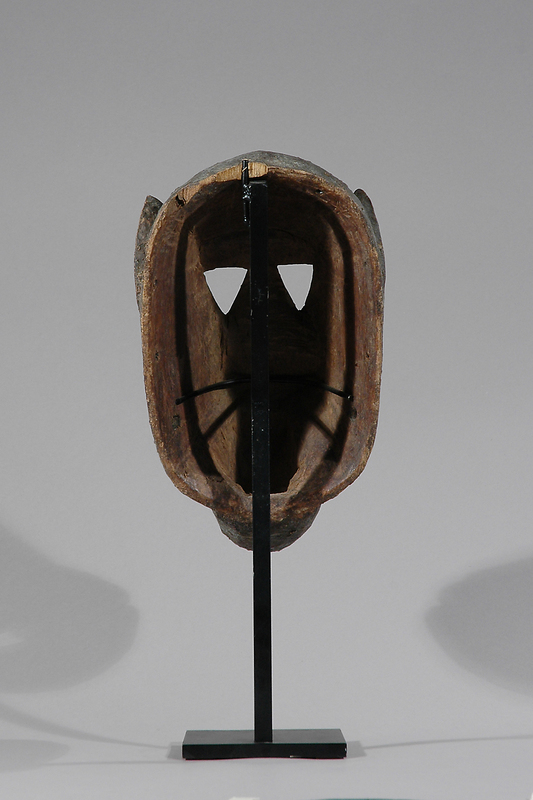 It shows major signs of use by the holes for attaching the mask with ropes to the face of the dancer. 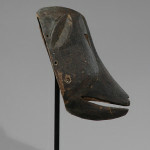 Provenance: Acquired from Brussel Gallery during BRUNEAF in June 2002.